Christians have suffered martyrdom throughout the centuries as a sign of their allegiance to Jesus. The Christian Martyrs' Last Prayer, oil on canvas. Image Credit: William T. Walters commissioned this painting in 1863. Artist: Jean-Léon Gérôme (French, 1824-1904). Creative Commons license from The Walters Art Museum. The recent shooting at an Oregon community college that left nine dead is a good point from which to reflect on Christian martyrdom. During the rampage, the assailant asked the Christian students to identify themselves. Upon confirmation of their Christian faith he fatally shot them. This tragedy is not the first time Christians have been singled out for murder solely based on their faith. Since the days of Jesus’ ascension his disciples, whether Jewish or Gentile, have suffered death, torture, starvation, and exile for his name. Some went through fire, others through water, to maintain allegiance to the true King instead of bowing to the false gods of this world. According to church tradition, every one of Yeshua’s twelve apostles (with the exception of John the son of Zebedee) met martyrdom of some kind. The apostles obeyed Jesus’ command to take the gospel to the four corners of the earth and from their various locations across the world bore the cross of their Messiah in their suffering. 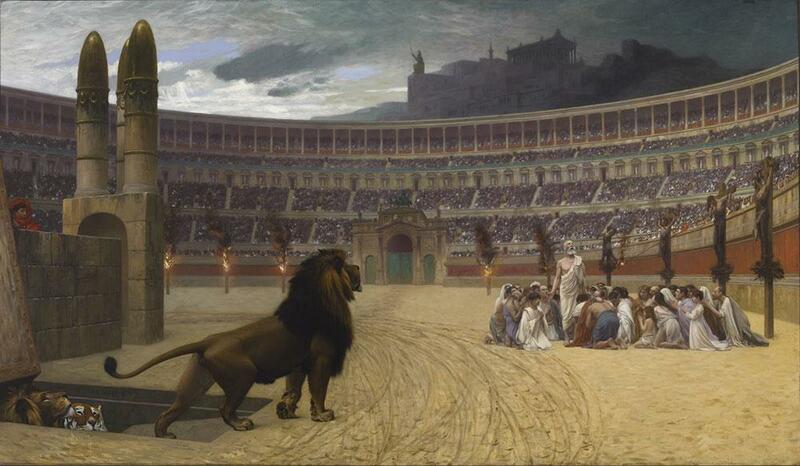 Rome was the biggest persecutor of Christians in the centuries immediately following the ascension of Jesus. The apostolic community looked to Rome as the embodiment of Satan’s kingdom and to Caesar (especially Nero) as the beast that ravaged, devoured, and mutilated the saints. 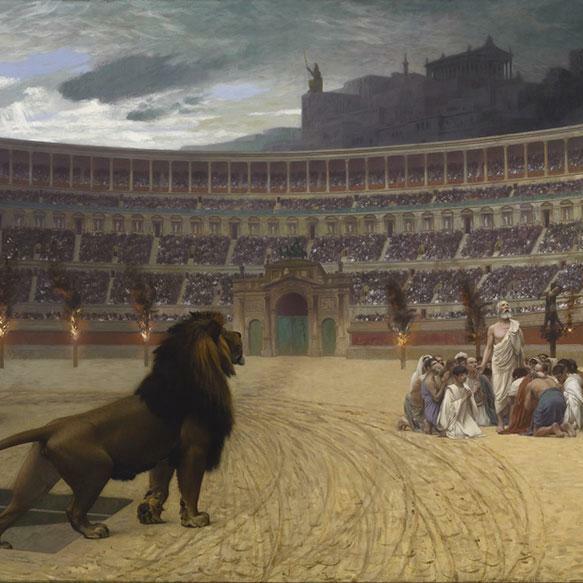 This persecution of the Lord’s faithful did not end with the Roman Empire. Instead, the same persecution has persisted throughout the centuries in different forms. Whether it is the persecutions that came from the atheistic communist governments of China and Russia or the recent religious persecutions of ISIS, the goal is the same—to erase the earthly witness of Messiah. The governments and religious groups that persecuted Christianity throughout the centuries did so under the satanic mission to make the name of Jesus void on the earth. Christians who suffered persecution under the hand of the evil one went to their deaths with the praise of God on their lips. They would rather have been burned alive than deny the love of Messiah, thrown into cauldrons of boiling oil than give up on the hope that is found in Jesus. For them, the option of worshiping the gods of the Roman pantheon was less appealing then being ravaged by wild beasts for the sake of Messiah. May the memory of the recent Christians who were killed be for a blessing and may their souls be bound up in the bond of life.